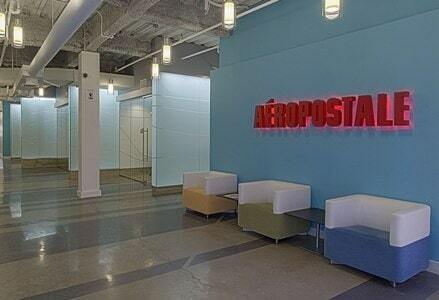 Address: Aeropostale, New York City, New York, U.S.
​Aeropostale was founded in the year 1987. The company has been active for over 32 years now. The company was a subsidiary of RH Macy Company. The main aim of the company was to sell clothing mainly to the age-group between 14 and 17-year-old girls, extending to 18 years old as well. The first mall of the company was opened in the year 1987. In the year 1995, the company was sold off to Aeropostale to Bear Sterns Merchant Banking Division. The company became a limited public entity in the year 2002. During the year 2009, the company launched a sub-brand known as P.S., which was targetted at the 7 to 12-year-olds. Two years later in 2011, the company added clothing line for 5 to 6-year-olds. As of the year 2016, the company had filed for bankruptcy protection, and by 2017 the company came out of its bankruptcy condition. The headquarters of the company is based in 112 West 34th Street, 22nd Floor. The name of the city is New York, while the name of the state is New York, USA. The pin code of the area is 10120. 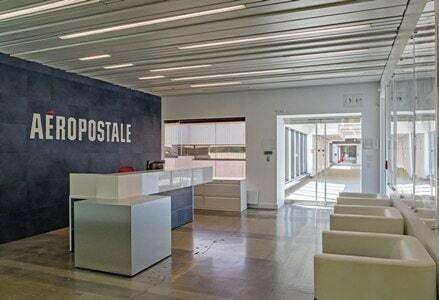 ​Aeropostale is an American retail, mall-based company that focuses on the designing and manufacturing of various kinds of apparel, accessories and clothing line for ages from 5 years to almost 18-year-old girls and kids. The current CEO of the company is Marc Miller. As of the year 2015, the number of employees working at the company is more than 21,000. The company has a total of more than 1,000 stores all around Canada and the USA. The company also has its presence in 27 international countries too. The primary services of the company include allowing customers to have the retail platform to purchase various kinds of clothing, casual apparels and also accessories, which are mainly targetted towards girls and kids aged between 5 years and 18 years. The products that are sold by the company are of high-quality and are fashionable as well.